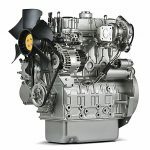 For the first time in North America, Perkins Pacific will be unveiling the new Perkins 404F-E22TA engine at the upcoming ICUEE show in Louisville, KY. This compact, four-cylinder model is designed to meet U.S. Tier 4 Final emissions standards and is the first time that common rail direct injection and full authority electronics feature on an engine of this size. ICUEE (International Construction & Utility Equipment Exposition) was chosen for the launch of the 404F-E22TA engine as it is the premiere event for construction and utility industry professionals. Perkins Pacific was selected to unveil the engine at the show due to its long term success serving OEMs in the construction, utility and industrial sectors. The engine is ideal for compact equipment manufacturers, especially for construction applications. Operators will experience better load acceptance, good transient response and smoother operation from machines equipped with the new engine, which will be manufactured at a Perkins plan in Griffin, GA. The 404F-E22TA offers OEMs an environmentally-friendly option to power their equipment, as the engine meets Tier 4 Final EPA emissions standards â€“ currently the highest emissions standards. Testing has shown that the engine has a 7 percent improvement in fuel consumption. 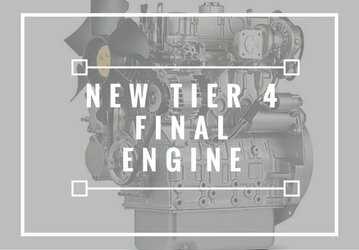 The engine is designed to make the transition to Tier 4 Final as seamless as possible so that costly redesign can be avoided. To view the engine at ICUEE and learn more from Perkins Pacific and factory representatives, visit the Perkins Pacific booth #3303 in Area N.
If you can’t make it to ICUEE, request more information about the new engine from Perkins Pacific.